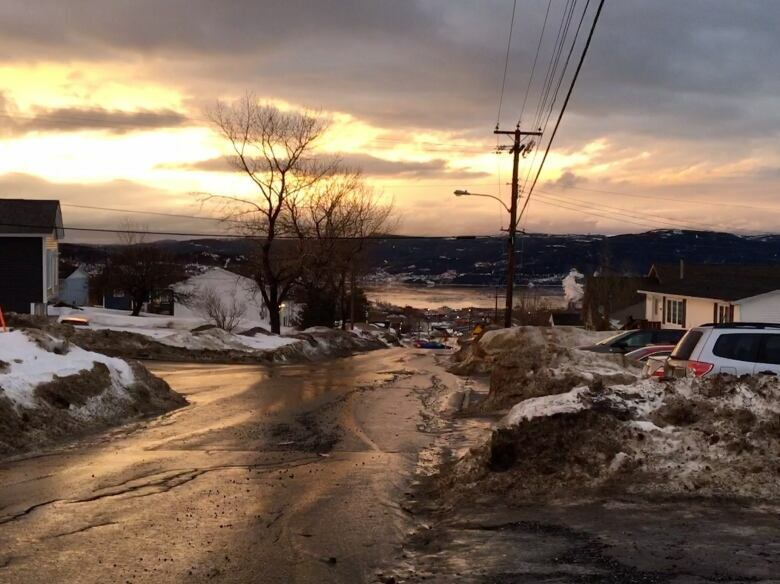 West coast spared major flood damage, mixed weather bag for rest of N.L. "It seems like we're past the worst part of it and now it's in the cleanup [stage]," says Donnie Burden, Corner Brook's director of public works. 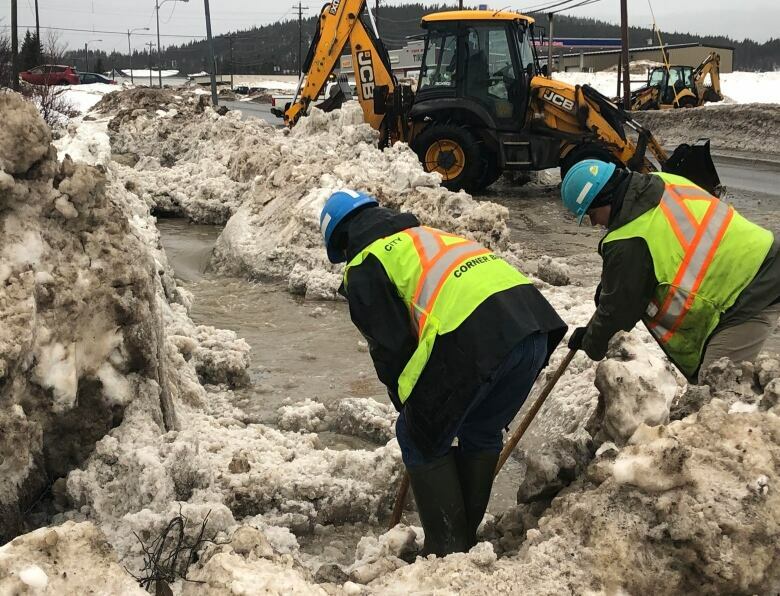 City officials in Corner Brook are breathing a small sigh of relief that the snow and rain mix over the last 24 hours didn't produce similar scenes of destruction that emerged during last year's flooding. "[I'm] relieved. It wasn't as bad as probably forecast or as bad as we expected. It seems like we're past the worst part of it and now it's in the cleanup [stage]," said Donnie Burden, director of public works. The heavy rain — which picked up around 4 a.m. Monday — has caused some damage, including road and parking lot washouts, but it could have been much worse, Burden said. 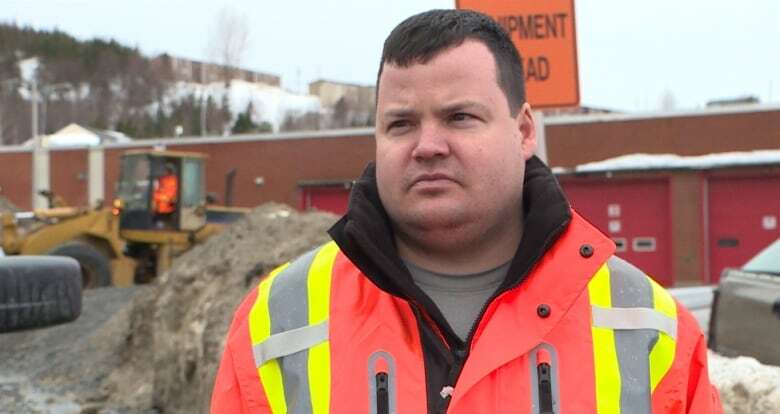 "We were very prepared this year," he told CBC's Colleen Connors, during an interview on the city's depot parking lot, which was a mix of moving water and gravel. Crews were out early Monday morning clearing catch basins and, later, trying to fill in large potholes or parts of the road that had washed away. With most of the heavy rain already fallen, Burden said the cleanup process is well underway, including rebuilding or filling in road shoulders that have washed away. "In a couple of days, you won't even know anything happened," he said. Burden said the city is receiving a few calls from residents about basement flooding. "We're dispatching, trying to give them some sandbags, help them as best as they can and letting them call their insurance," he said. He said attention is now being turned to keep the roads safe. "We anticipate the temperature dropping very quickly around suppertime so we are going to be out in full force with our sand and salt trucks, trying to keep the roads as passable as possible," said Burdern. Canada Post issued a red alert for Corner Brook and Stephenville, meaning mail delivery was suspended for the day because it was unsafe, due to the weather. Other areas on the west coast could see delays with mail service, according to Canada Post. Environment Canada had warned about flash floods and water pooling on roads. All schools in Corner Brook and many other schools on the west side of the island were closed for the morning, but have reopened for Monday afternoon. This storm comes a year after rain and warm temperatures caused major flooding and major damage in parts of the west coast, much of which still needs repair. Corner Brook Mayor Jim Parsons said the city has learned lessons since that wild weather, and that's why crews got an early start. "Knowing that you're going to have those significant one-in-50, one-in-20 events more rapidly, and I guess more frequently, we have to build our infrastructure differently, and we have to start thinking about even small storms, based on what happened last year," he said. "They really do sort of bring on an additional level of anxiety, but also planning. So we don't want to get caught with our pants down on this." Marble Mountain, which suffered significant damage last year when flooding left large gouges on several slopes and pushed mud under the base of the new chair lift, was closed Monday. In a tweet, Tourism Minister Christopher Mitchelmore said crews had done advanced preparations to improve drainage. High winds are expected in almost all of Newfoundland, with warnings issued for the northern, southern, and western parts of the island. The Wreckhouse area will see gusts of up to 140 km/h, while the Avalon and Bonavista Penisulas can expect gusts of up to 100 km/h. The high wind warnings prompted St. John's to cancel automated garbage pickup for people with city-issued bins and led to a list of cancelled flights at the St. John's Airport. Environment Canada says the Avalon peninsula could see a high of 11 C, prompting a warning about flash floods and water pooling on the roads. 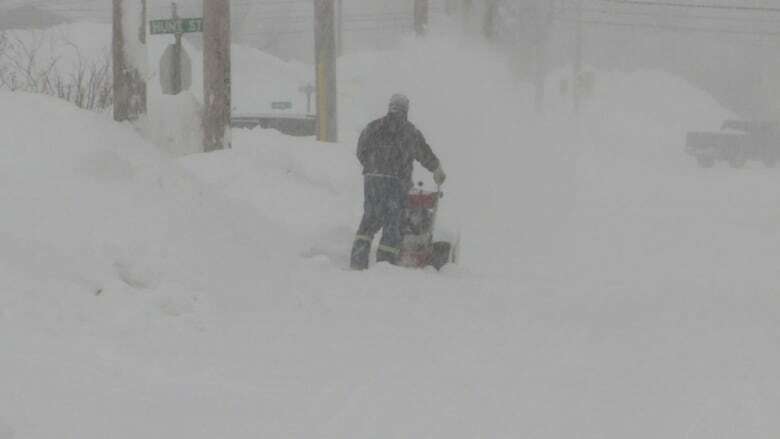 There are winter storm and blizzard warnings in parts of Labrador, prompting some schools to be closed in coastal and central parts of the Big Land. Up to 50 centimetres of snow is expected in some areas. The Transportation department has closed parts of the southern section of the Trans-Labrador Highway, because it's too stormy to put snow-clearing equipment on the road.